A very nice read, to bad the movie couldn't make it like how the book was written. Hope you enjoy it as much as I did. Pretty enjoyable. A decent read. It took a while to get interesting though, and a lot of the events towards the beginning were really unnecessary and somewhat boring. It took a while for me to grow to like Rudy, as he was quite selfish and prickish. I was really hoping for his (moral) character to be redeemed, and it was for the most part. There were quite a few laughs, and the trial was great fun. I think I'm done with Grisham's books. This one felt abridged and I really don't care about how amazing a lawyer's life is. This had a nice ending but it wasn't worth it unless you're really into the law thing. Also the music that goes along with the book is way too loud and was annoying. 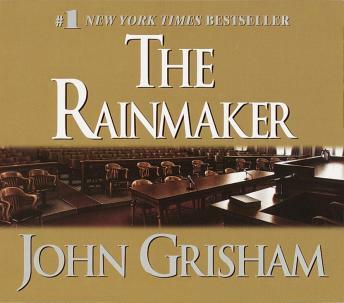 Is too the best Grisham. I loved this book. Some of the courtroom antics made me laugh out loud. I really enjoyed listening to this book. Definitely worth the effort of overlooking scratches in some areas of the CDs.